Do you know that feeling you get when you see that thing you've been looking for? The one you've been checking every place you could think of for the last however long hoping you could find it (and at a reasonable price). 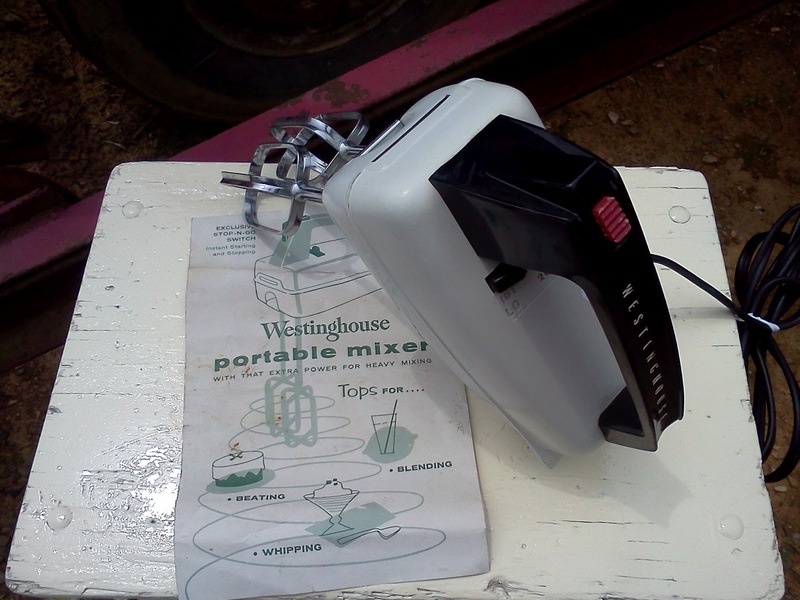 Well I got that amazing, gleeful, adrenaline filled feeling over a Westinghouse Portable Mixer. And yes, I recognize this is slightly sad. But just look at it! It's in impeccable condition, has the original directions and purrs like a kitten! As an added bonus, it's quite heavy since it was made in the 50's, so I can get some strength training in while I cook. Two birds with one stone. Next is some Pyrex fate! Over a year ago I had purchased this red Pyrex holiday promotional mixing bowl at an antique store. 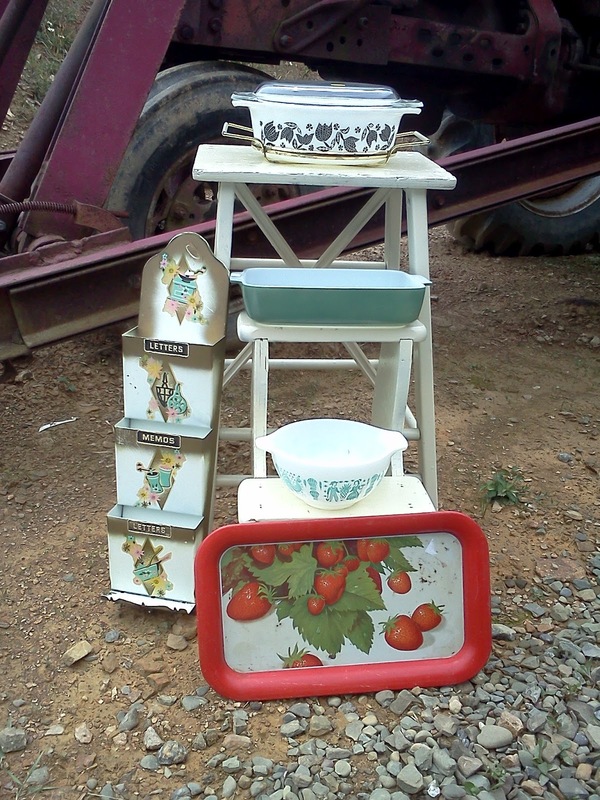 Although it didn't have the cradle or lid that it originally came with, I was in love with it. Now as you can see, it is sitting in a cradle which doesn't fit with my story. I found this cradle, the exact one that is was supposed to come with at Goodwill for less than a dollar. 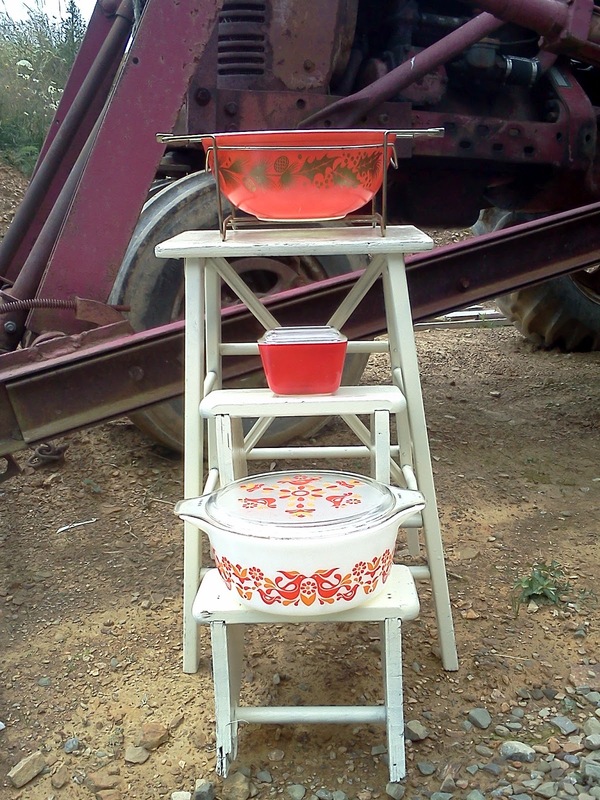 It's a match made in Pyrex heaven. Well that's all for now folks! Hopefully more coming soon. I should also have some updates on my apron and Hoosier cabinets soon! You've sure been lucky on the Pyrex! !